(Palm Springs, CA) January 28, 2019… JFS Desert has had to cancel the one-man show America’s Better Angels written by and starring Laurence Luckinbill scheduled for March 15, 2019, due to his unexpected back surgery. The good news is that JFS Desert has found a fabulous silver lining!! After careful deliberation, and with the support of Mr. Luckinbill, JFS has made a bold and compassionate choice: if we can’t SEE America’s Better Angels on the stage, let’s BE America’s Better Angels right here in our Coachella Valley by redirecting funds that would have been spent on a replacement event to expand rent and utility assistance for families in our Valley right now! On Friday January 25, JFS case workers met with TSA and IRS employees and other affected families at a resource bank arranged by FIND and the office of Congressman, Dr. Raul Ruiz of District 36. On any given day, 40% of the people of the U.S. cannot meet a $400 emergency, and will the additional uncertainty of the recent government shutdown and a threat of another one in the next month, working families right here in our valley are really at risk. Food banks are seeing record numbers of valley residents, and families are struggling to pay rent and utilities. Fixed income seniors are waiting to see if their food and housing support will arrive at the end of the month. 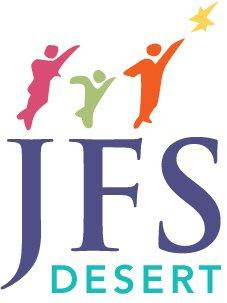 JFS is getting over 130 calls a month for financial assistance. JFS just has to help! Patrons and sponsors of the cancelled America’s Better Angels event will be honored for their generosity in the media. For more information or to donate call 760-325-4088 or donate online at www.jfsdesert.org!